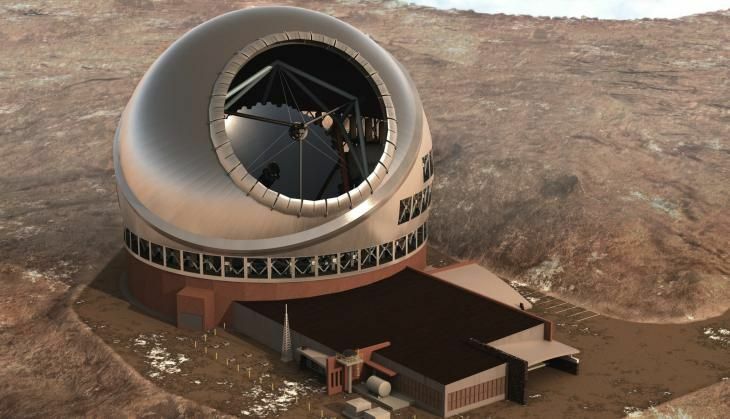 After protests in Hawaii, US against the proposed Thirty Metre Telescope (TMT) project, alternative sites are being explored for the project - to build the world's largest TMT. And one of the proposed locations is Hanle in Ladakh. The project, which was scheduled to be established at Mauna Kea in Hawaii, was stalled in the wake of protests and indigenous population. "The construction was expected to start on Mauna Kea, Hawaii in 2015. However, it is now stalled due to the recent decision of the Supreme court of Hawaii revoking the construction permit on procedural grounds," said Bacham Eswar Reddy, Programme Director. "The State of Hawaii agencies are working on the permit process following the prescribed procedure by the court. TMT is pursuing the matter in consultation with the University of Hawaii (land lease holder) and other agencies. It seeks to construct TMT on Mauna Kea which is the preferred choice," said Reddy, Programme Director. However, given the importance of the project, in terms of finance and its scientific value, the project partners are also looking at alternate sites, both in the northern and southern hemispheres. These include sites in Chile, Hanle, Ladakh and others which are all being evaluated for technical and logistical suitability. "It is expected that on-site civil work on the project may be delayed by about 18-24 months. However, work on telescope and observatory subsystems continues across the partnership," Reddy added. India is a 10 per cent partner in the TMT project, which includes China, Japan, Canada and the US. On the Indian side, the project is being handled by the Ministry of Science and Technology and Department of Atomic Energy. If the programme comes to India, it will open several doors. "The project is expected to improve employment opportunities for the local people besides development of the region. TMT being the largest optical and infrared telescope in the northern hemisphere will strengthen the domestic programme of the country in this field and lead to several discoveries, which will inspire future generations. "The project will also help develop state-of-the-art high end technologies and expertise in the country," an official of Ministry of Science and Technology said.